Picking the right type of plants is as important as where you are going to put your garden. Consider the type of plant, how much sun it needs and how much water it will need. If your garden gets 6+ hours of direct sun per day then you are going to want to pick perennials that will thrive in the sun and will not need to be watered multiple times a day so they don’t die from exposure. 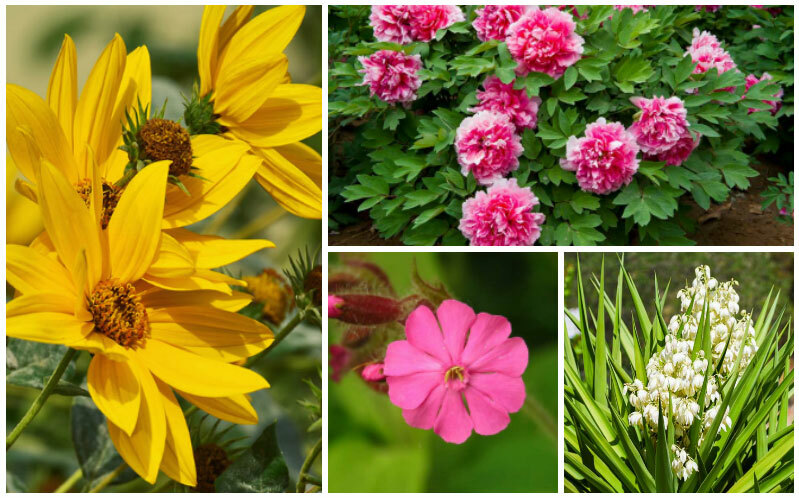 We have collected 17 full sun perennials that will thrive in your sunny garden. 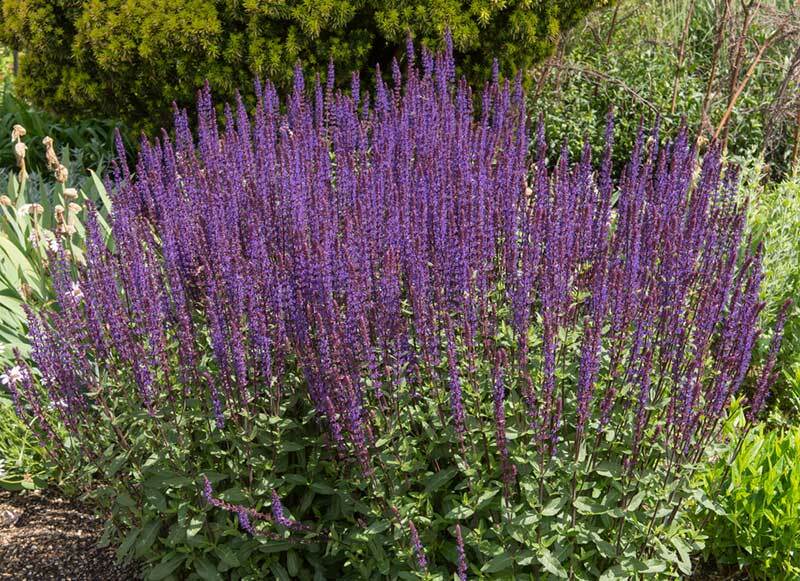 Perennial salvias are lovely plants that make an attractive taste to gardens and landscapes. They produce beautiful and fragrant flowers with attractive foliage that bloom for weeks, generally from late spring or summer. They are mostly full sun plants although few types are shade tolerant. They grow well in fertile and well-drained soil. Pincushion flowers are long-blooming and compact perennials with gray to green leaves. The name was derived from the flower’s cushion-like center and pin-looking stamens, which resemble that of a pincushion. The beautiful pincushion flower comes in a wide range of colors, but most varieties come in blue, purple and white shades. The unique blossoms will take place usually from late spring, summer and fall seasons. This plant grows up to 1 or 2 feet in height and prefers medium, well-drained soil in full sun. Bugloss are perennial forget-me-nots with large, ovate or heart-shaped leaves. They produce a delightful display of sky-blue flowers in spring that adds a vibrant and striking accent to landscapes and gardens. 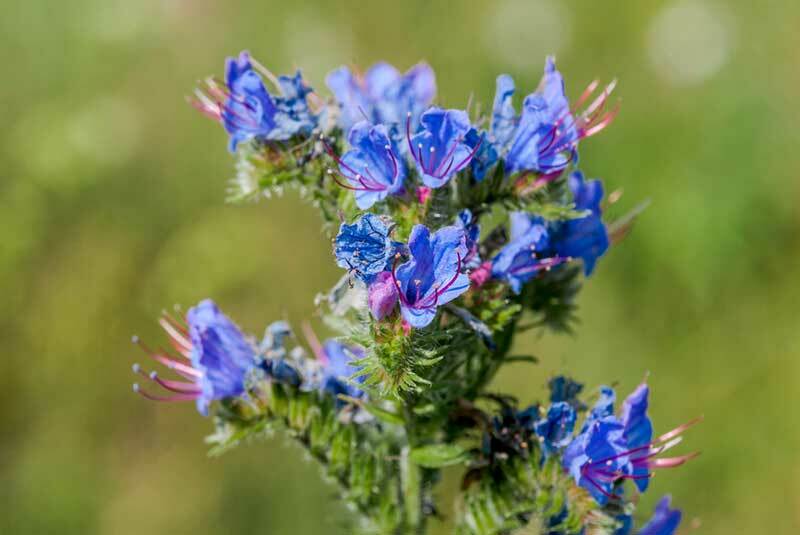 Mature bugloss stands 1-2 feet tall, and each plant can have several flowering stalks. They thrive well in deep, moist soil condition with full sun or partial shade. Rock cress is a mat-forming, semi-evergreen, herbaceous perennial plant that is most popular as an attractive border in a rock garden. They are alpine plants that can thrive in atypical locations like hills and slopes. Rockcress produces a profusion of fragrant, gorgeous blooms of vivid purple-red flowers in mid-spring to early summer. They grow up to 4-9 inches tall with a spread of 1-2 feet. They grow best in full sun and prefers for rocky, sandy, and dry spots. 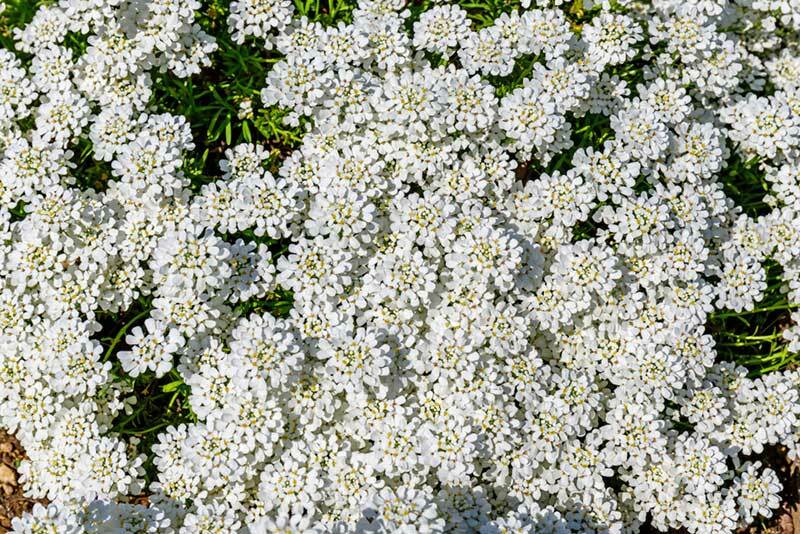 Candytuft, a ground-hugging perennial flower, is a well-loved perennial among gardeners. 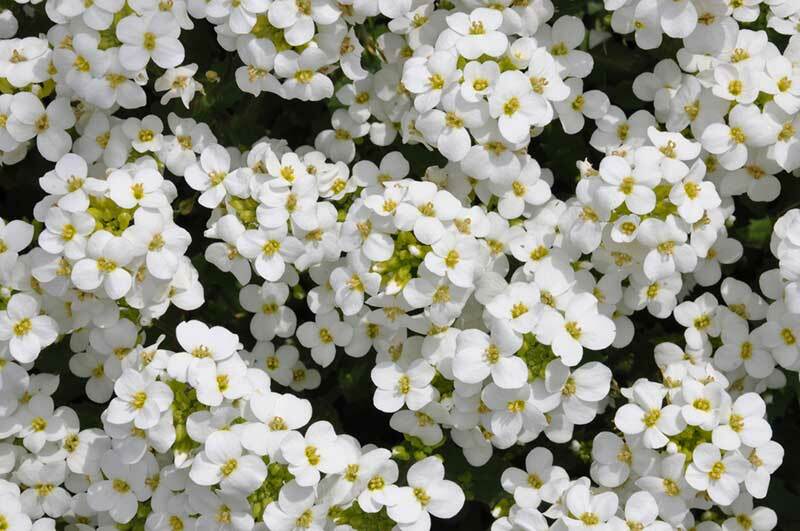 Its fantastic display of white flowers above its glossy, evergreen foliage is a spring-blooming favorite. It is a subshrub with a height of up to 10 feet and spreading to about 2 feet. 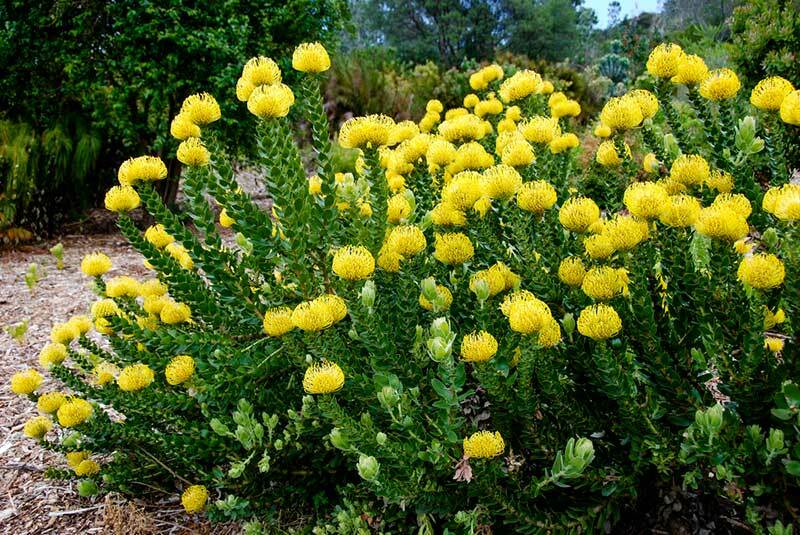 Also, it thrives well in well-drained soil and blooms best in full sun. 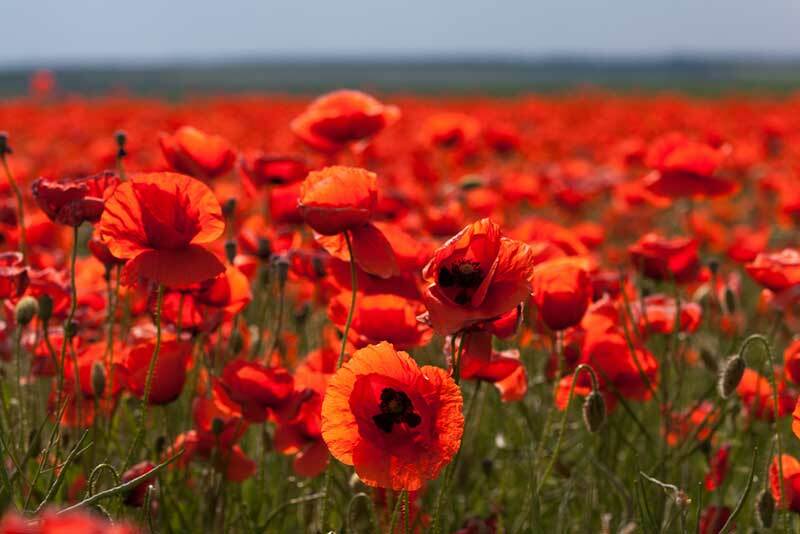 Poppies are attractive clump forming perennials that bloom in early to mid-summer. They produce beautiful flowers with tissue paper-like petals which adds a vibrant accent to the landscape. The flower comes in colorful shades of red, orange, yellow, and white, often with dramatic dark centers. They can grow from 2 to 4 feet in height, although dwarf varieties are also available. They prefer well-drained soil at full sun. 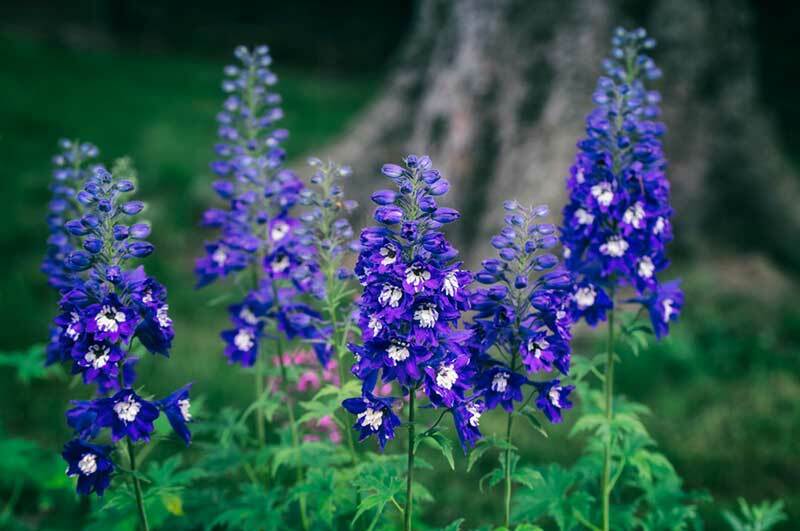 Delphinium are perennials grown for their eye-catching spikes of colorful summer flowers. Their regal blooms come in gorgeous shades of blue, pink, white, and purple. They can bloom with single, semi-double or double flowers which are called florets. Tallest varieties can grow to 5-6 feet tall and 2 feet wide, however, dwarf types are also available can grow up to 1-2 feet tall and about 1 foot wide. Full sun is ideal as delphiniums bloom best in sunny spots and well-drained soils. 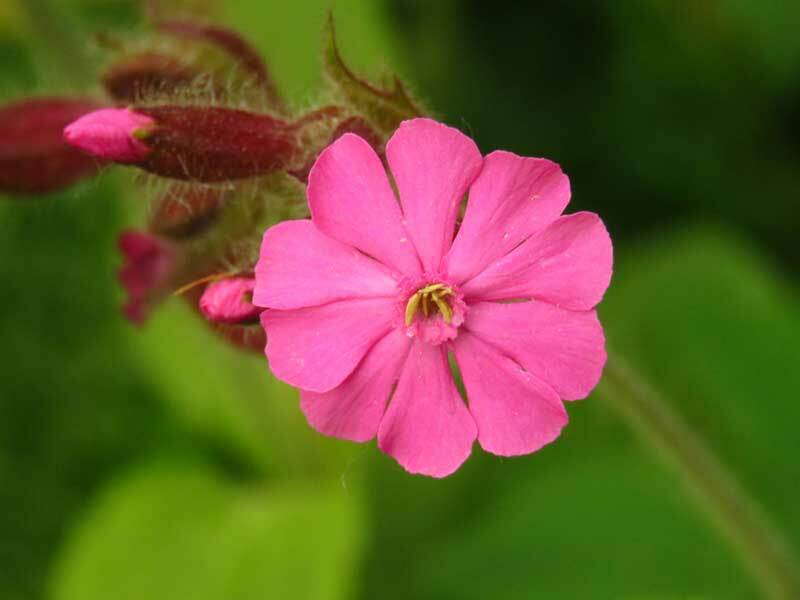 An old-fashioned, garden favorite that adds brilliant color is the rose campion. 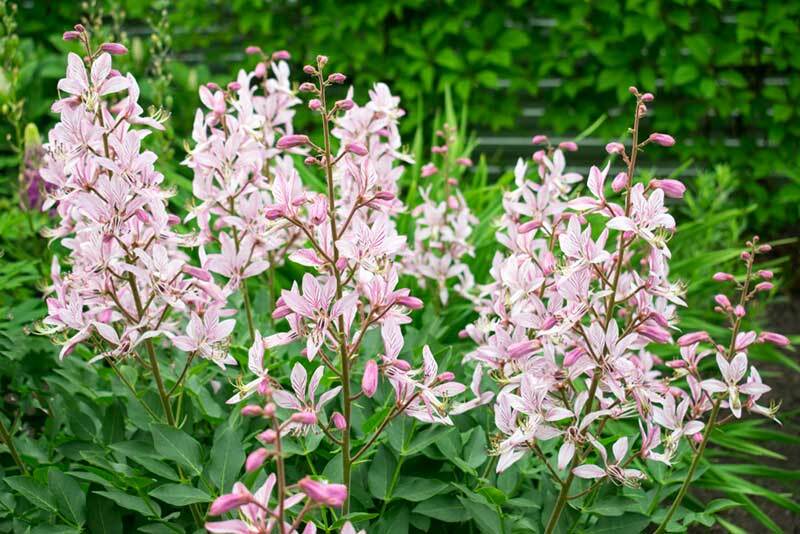 It is known for its silver-gray foliage and for its beautiful profusion of bright magenta, pale pink or white trumpet-shaped flowers that bloom in late spring to early summer. This plant grows up to 18-36 inches tall and spread up to 12-18 inches. It thrives in full sun and enjoys well-drained soils. 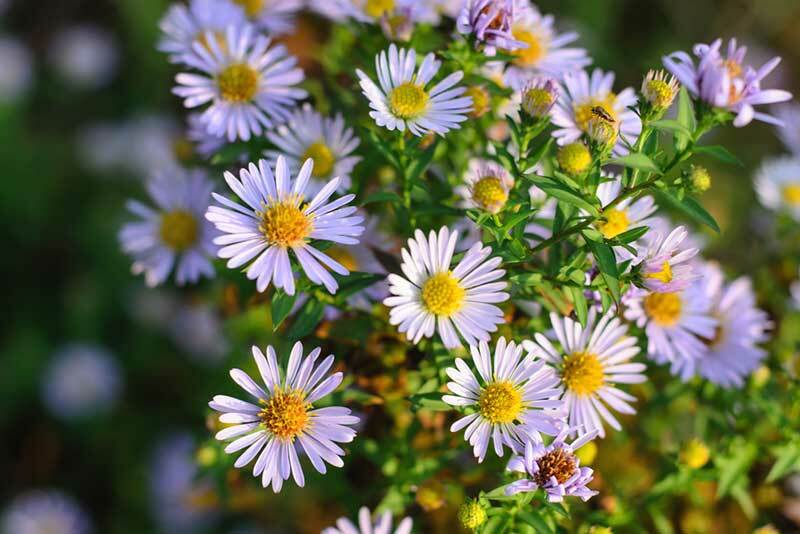 Boltonia, also called false aster, is a perennial wildflower that produces ray-like flowers surrounding a yellow center. Its sturdy stems, narrow leaves, and dozens of white flowers resemble that of asters. They bloom from late spring until fall and prefers moist soil under full sun. Like many wildflowers, they are easy to grow and needs low maintenance. They can grow up to 3-8 feet and 2-4 feet wide. Helianthus maximiliana is a tall, upright, perennial, oval to heart-shaped hairy leaves. They produce huge, brilliant flowers with yellow petals surrounding the dark brown center. This plant typically grows up to 3-10 feet tall and 18-36 inches wide. 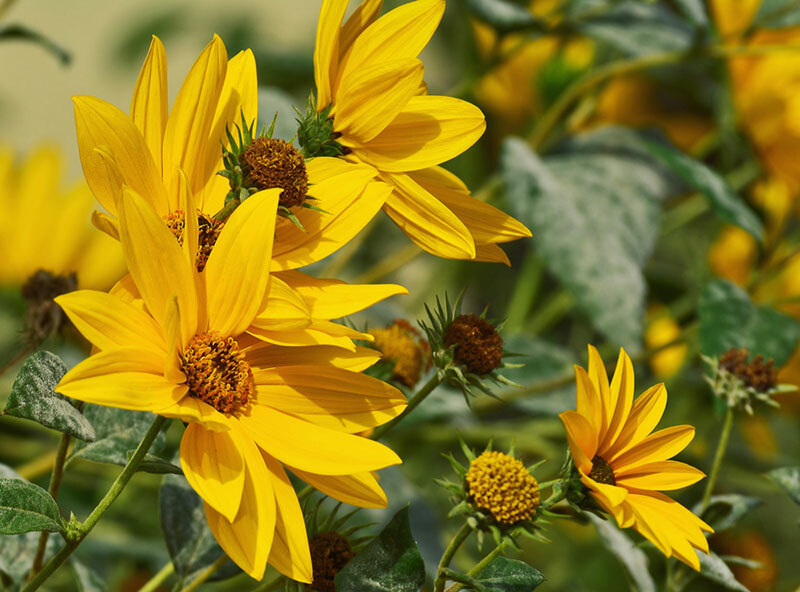 Helianthus prefer full sun and enjoys well-drained soil, although it can also tolerate any soil condition. They are late season flowers that bloom at the end of summer and into fall. 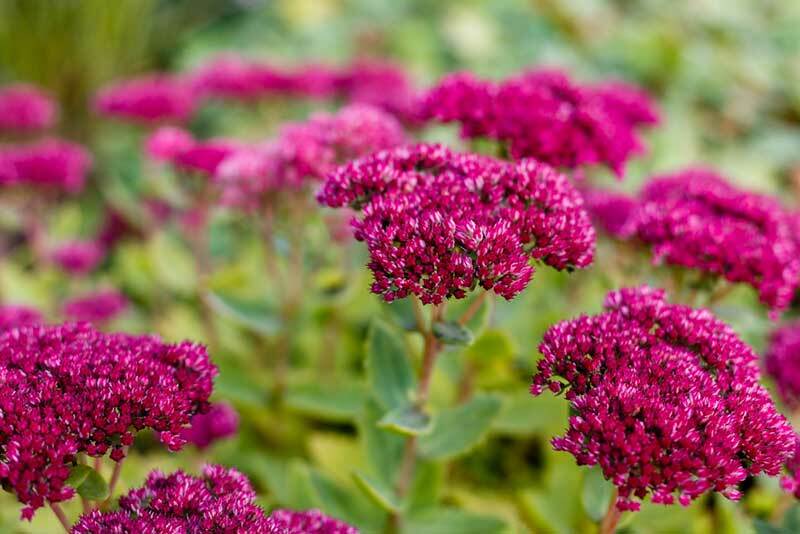 Sedums are standout perennials with thick, succulent leaves and fleshy stems. They produce densely clustered buds made of tiny, star-shaped flowers in shades of white, pink, or red that blooms in late spring or summer. There are three main varieties: mat-forming, creeping and upright sedums that can grow up to 3 feet tall depending on the variety and conditions. They are easy to grow and best exposed to full sun, in average, moist, well-drained soils. Dictamnus, also known as burning bush, is a relatively rare but beloved herbaceous perennial plant. It is considered slow-to-establish, but very long-lived plant. Once established, plants continue to flourish for years and generate gorgeous and fragrant flowering spikes that bloom during summer. The plant grows up to 2-3 feet and 1.5-2.5 feet wide. They are easily grown in well-drained soils in full sun. 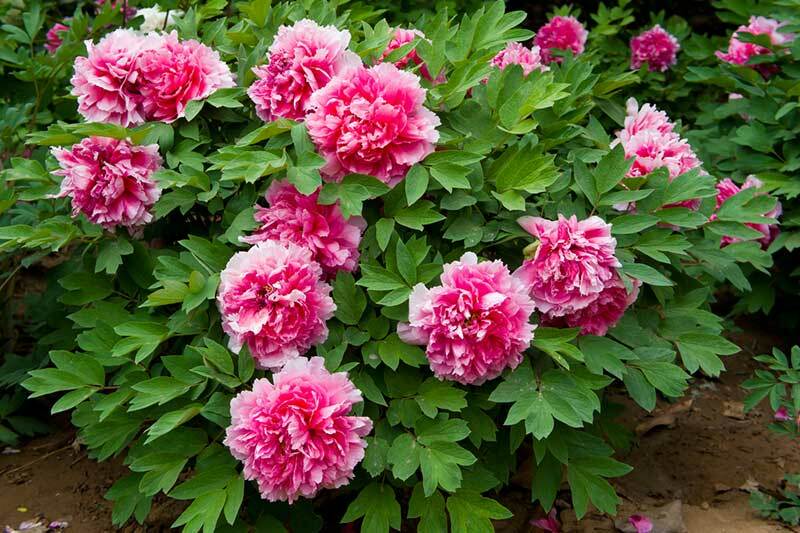 Peonies are very long-lived herbaceous perennials that are easy to grow and works a spectacular show in the garden. They are outrageously beautiful in bloom from spring to summer due to its exquisite, fragrant, huge flowers in white, pink to rose, red, lavender, and yellow. Even after its blooming period, its foliage is still beautiful. They grow up to 2-3 feet and works well in a sunny location with well-drained soil. Another summer blooming perennial favorite is limonium. It is a dense herbaceous perennial with a low-growing mound of deep green foliage rosettes. It forms a leathery leaf that comes in various sizes and tends to be lance-shaped or spatula-shaped. 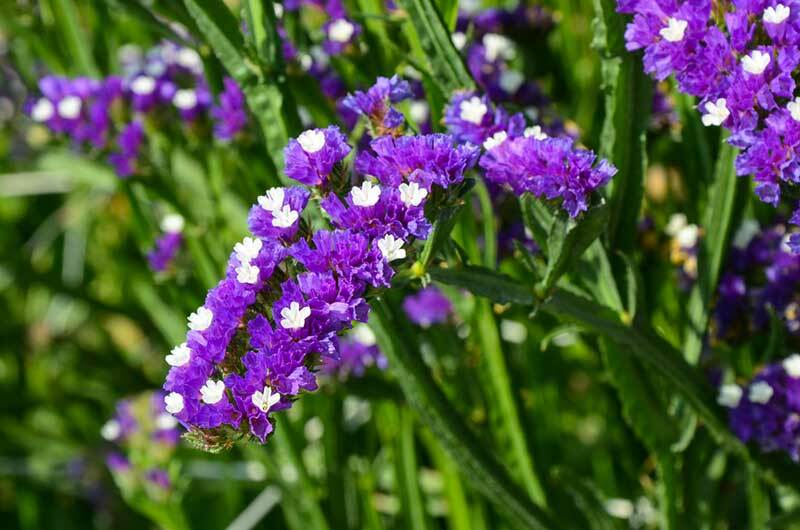 Limonium features airy plumes flowers with long-lasting colored tubular calyces and branching heads of tiny, light blue petals. At maturity, it will grow to about 29 inches tall with a spread of 29 inches. 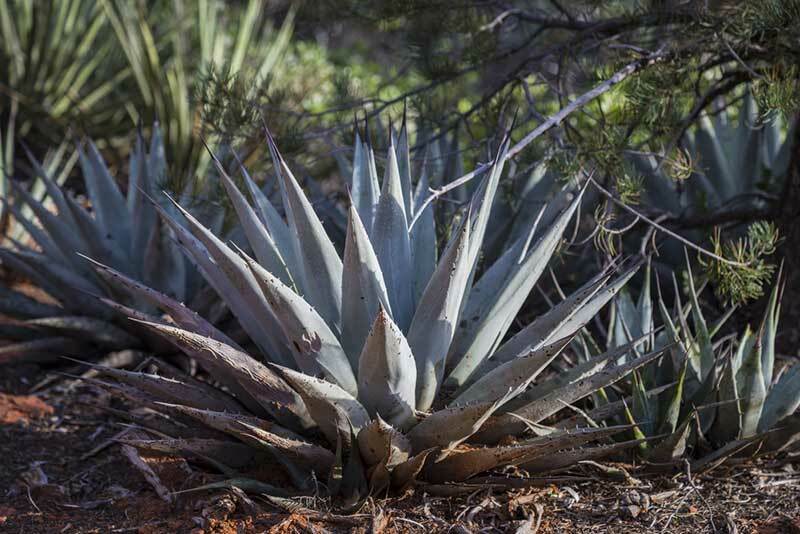 Agave is a rosette-forming perennial best known as succulent plants with large leaves that end in sharp tips. The architectural foliage comes in different varieties which adds drama to any garden. A blooming agave is an eye-catcher when it is topped with a lovely flowering spike. They thrive well in full sun, though light shades for a couple of hours is also tolerable. 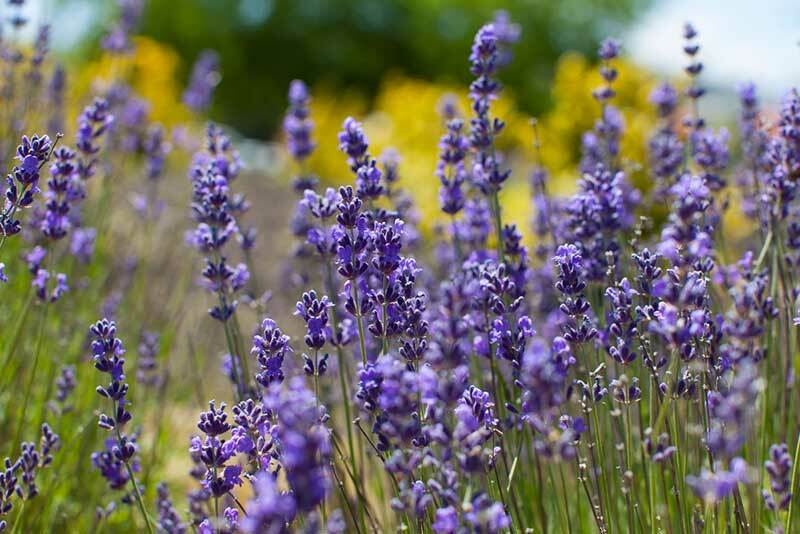 Lavender is a shrubby perennial that is iconic to gardeners. It’s gray to green foliage maintains evergreen appearance throughout the year. This plant is highly regarded for its fragrance, medicinal properties, and gorgeous lavender color flowers that appear during late spring to early summer. Mature lavenders grow up to 2-3 feet tall and 18 inches wide with narrow leaves on square stems. 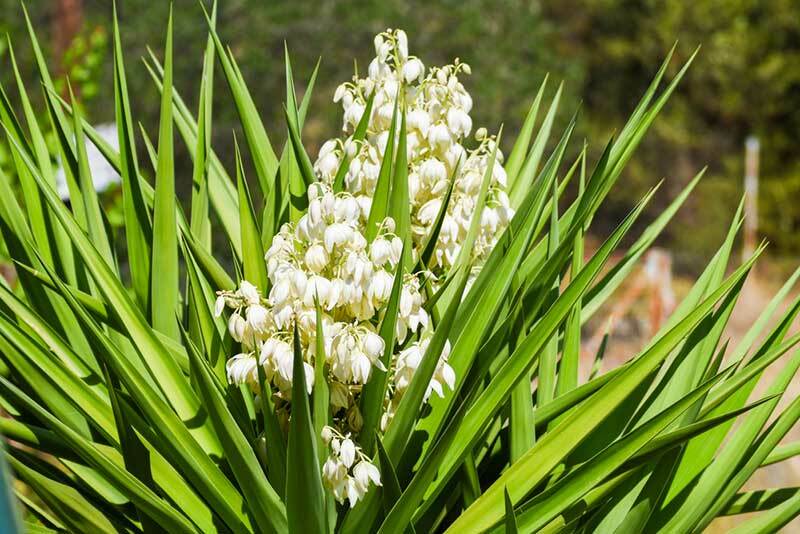 Yuccas are perennial plants that grow in mounded rosettes. They have long, sword-like, evergreen leaves that add a unique look to any location such as landscapes. The creamy-white flowers atop the stiff stalks that bloom during mid to late summer is undoubtedly an attraction. They are low maintenance perennials that thrive in well-drained soils and can be in full sun.